on the hunt for the latest trends in fashion, lifestyle, luxury and technology. Do you find yourself in need of a little yoga inspiration every once in a while? We all do, which is why we came up with this list of the top yoga influencers for 2017! Follow these inspiring yogis on Instagram or check out their websites for yoga blogs, free videos, and lots of beautiful photos to keep you motivated on your own yoga journey. After retiring from modeling, Tara became a yoga instructor and founded Strala Yoga in New York City. Strala Yoga is a revolutionary approach to yoga that focuses on feeling and movement to help students feel healthy, creative, and happy. Strala is now a global studio with over 1,000 instructors leading classes in fifteen countries to thousands of people per week. With a focus on leadership, nutrition, and wellbeing, Tara’s personal brand offers recipes, books, and yoga videos to help you become a stronger and more connected version of yourself. Adriene is most famous for her “Yoga with Adriene” YouTube channel where she posts weekly videos for her two million subscribers. 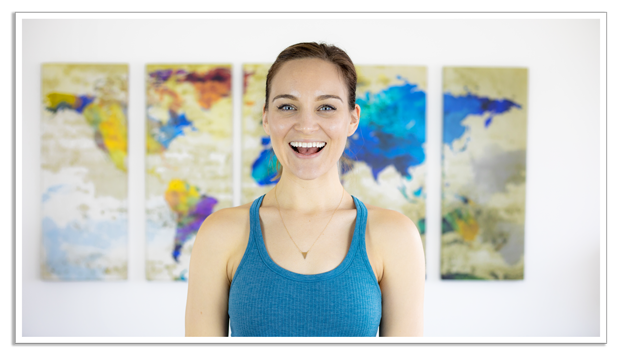 She is one of the most popular yoga celebrities out there for her fresh and engaging video content driving new and old yoga practitioners to keep up a steady home practice. Check out her videos on YouTube or her website for a dose of her refreshing and simple yoga style. Kathryn is an internationally recognized yoga teacher for her message, “Aim True.” She has a colorful online presence with an impressive social media following for her personable approach to teaching yoga. With over a decade of experience and influence in the yoga industry, she also writes for publications including MindBodyGreen and Women’s Health. Rachel is known to her followers online as “Yoga Girl” for peaceful and personal yoga photos, especially to her two million followers on Instagram. She is a Swedish-born yoga instructor who began her practice in Costa Rica and eventually ended up in Aruba. She now teaches classes worldwide and is famous for her dynamic Vinyasa Flow which integrates alignment, core work, and breathing techniques with basic poses and creative sequencing. Her website also offers an active blog and information about her book and podcast Listen. Erin is the creator of Bad Yogi where she boasts, “We’re redefining yoga culture, one Bad Yogi at a time.” Her persona and business were inspired by an article for Huffington Post that called the yoga world on its bluff, leading her to redefine what it means to be a yogi. If you don’t identify with the stereotypical yoga lifestyle, then Erin’s inclusive and non-judgmental yoga teaching is for you! Check out her website for a free 30-day yoga challenge. Jason Crandell of Yoga Method has built an online presence through his detail-oriented asana practice that focuses on power, precision, and mindfulness. He offers popular online classes on YogaGlo and publishes articles and podcasts on yoga via his website. His 15 years of experience and knowledge of essential yoga sequences is extremely valuable to anyone who wants to deepen their practice and knowledge about yoga. Allie’s blog “The Journey Junkie” houses her writing on travel, life, and yoga. Her website introduction says, “Welcome to a community of intention setting, false belief breaking, and dream making. I’m Allie, chief journey babe, and your guide to inspiration, movement, and connection.” Follow this yoga junkie’s journey for her “30 Poses in 30 Days” series, Vinyasa Flow classes, and “Yoga Body Bootcamp” challenge on her website, in addition to ramblings about her yoga and travel experiences all over the world.